The inviting, super-modern home to the Bibliothèque et Archives nationales du Québec, a massive library housing four million works. The inviting, super-modern home to the Bibliothèque et Archives nationales du Québec, a massive library housing four million works. 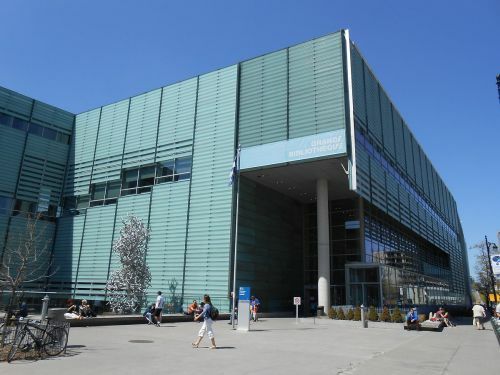 The building itself is a contemporary style building integrating art and architecture including a glass mural, a kinetic luminous mural, a sculpture garden, and varying museum-style displays in the lower-level gallery. The tiles that cover the outside of the building are made to resemble a closed book. Architectural tours are offered.